By combining comfort, style and durability. With an effective, long lasting replaceable filter, the RZ Mask is shaping the future of respiratory protection. Abrasion-resistant fabric combined with the high durability extends the lifetime of the product and protects its user. Dual valve technology: A one-way airflow vents expel condensation keeping the mask interior dry. Each valve facilitates easy breathing outwards by optimizing airflow. An easy twist seal locks the inner filter in place and blocks unfiltered air. The replaceable, inner active carbon filter is 99.9% effective down to .1 microns in size. Unlike full face masks the RZ Mask expels moisture better, keeping goggles from fogging up and keeping the inside of the mask dry and comfortable for long-term use. The mask shape will fit under helmets and goggles with the right stretch and flex for any activity. All the new RZ Mask styles feature a hi-density print with vibrant colors to really showcase the artwork. The need for a viable method of protecting your throat and lungs from harmful matter is nothing new. As a contractor, I have been on many jobsites that required the use of dust masks and respirators at one time or another, but those situations are typically planned for. 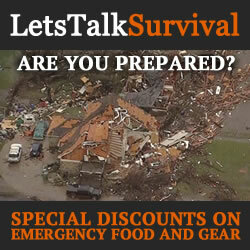 What about emergencies that catch you off-guard like an earthquake, fire, tornado, volcano or even a plain old desert windstorm? I have been carrying a pair of cheap dust masks in my EDC just incase I run into the need for one for quite some time. However, I find that I have to change them out every once in awhile because they become damaged and unusable. When I run across a piece of gear that has the potential to be better than what I currently use, I love to put it to the test. 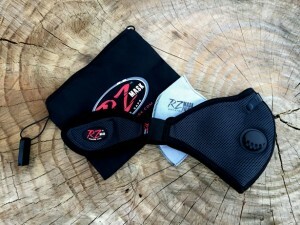 I was recently provided the opportunity to have a peek at the new M5 Emergency Filtration Mask kit by RZ Industries which is basically the M2 mask with new packaging. 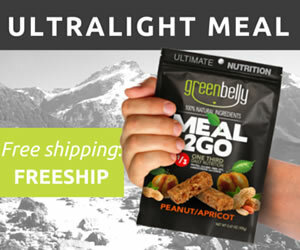 The kit comes sealed in a heavy-duty mylar pouch with a ziplock closure. Inside was a black nylon pouch approximately 7.5″ wide and 6″ tall with a zippered closure, a small exhaust valve wrench attached to the pouch with a piece of shockcord, and a large RZ Mask logo printed on the side. The pouch contained a lightweight nylon mesh mask and two replaceable F1 Active Carbon Filter elements. The M2 mask is constructed from a durable black nylon mesh outer layer and a finer black nylon mesh inner layer that is moisture-wicking and very breathable. All of the edges have a taped finish, and the seams are stitched well providing exceptional comfort and durability, ideal for warmer environments. The M1 mask is made from a durable neoprene as opposed to the nylon mesh for better cold-weather protection, but still remains very comfortable. 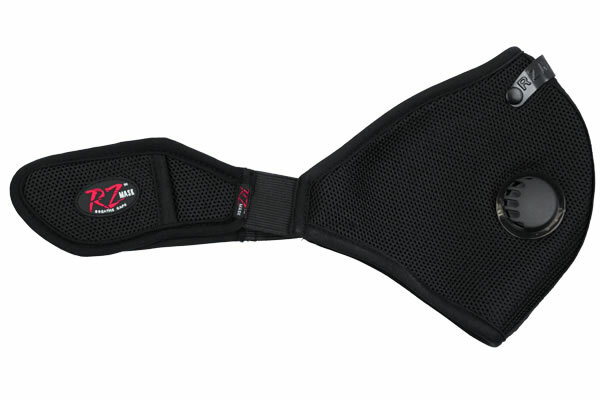 Two flexible straps with hook and loop at the ends are attached to the mask with 1.5″ elastic bands. They are used to secure the mask comfortably behind the neck. The mask also has an adjustable metal nose clip to aid in sealing the mask around the nose to prevent fogging of safety glasses. The fabric shell of each mask is hand-washable with warm water and mild detergent and can be cleaned regularly. On each side of the mask there are replaceable exhaust valves designed to allow exhaled air and moisture to escape, while preventing any unfiltered air from getting in and can be purchased directly from the RZ Industries website. There are three replacement filter options that are available in both 3-pack and 100-pack sizes. The F1 Active Carbon Filter is the standard filter element provided in their kits. It consists of two layers, an outer particulate filter and an internal layer of active carbon. The outer layer is capable of trapping particulates down to .1 microns in size, while the internal active carbon layer is highly effective at removing fumes and odors. The F2 HEPA (High Efficiency Particulate Air) Filter consists of two particulate filter layers capable of trapping particulates down to .1 microns in size. The HEPA particulate filter offers 40% better performance and breathability than their standard F1 filter element where better filtration is necessary, but no fumes and odors are present. The F3 HEPA Filter w/ Active Carbon is their premium and most versatile filter element. It combines the superior performance and breathability of their .1 micron HEPA particulate filter with the fume and odor removing capability of their active carbon filter into a single filter element for exceptional results. A little sense of scale… Pollens typically range somewhere between 10 and 1,000 microns, coal dust between 1 and 100 microns, and most bacteria are from .2 to 3 microns in size. The average life expectancy of RZ Filter elements greatly depends on a number variables including particulate density and duration of exposure. With that said, they should last 10-20 hours of continuous use in heavy dust conditions, 30-40 hours of continuous use in light dust conditions, and 50-60 hours of continuous use protecting against exposure to allergens, pollutants, and odors. Aside from putting the mask on in a dusty environment and taking a few breaths to see if the outer layer had trapped the dust particles and prevented any smells from coming through, I also decided to test the filter element under more extreme conditions. I placed a single layer of the filter material inline in a vacuum just before the canister and proceeded to pick up a 1/2-cup pile of drywall dust. The filter element easily caught all of the dust particles, preventing any from passing through into the vacuum canister. 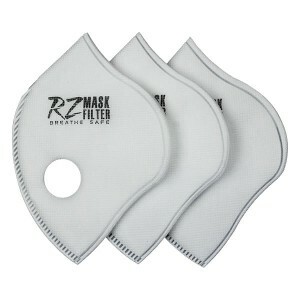 The RZ Mask is made from quality materials and assembled with care. Even the edges and seams are taped and stitched for greater comfort. While it certainly weighs more than any of the single-use disposable filtration masks, it is also much more durable and built to last, even after being stuffed in the bottom of a gear bag for a while. I’ve used disposable masks many times over the years, and they are rarely comfortable, especially after wearing them for a few hours. With all of the perspiration, they tend to get really uncomfortable and their performance suffers a great deal as well. The RZ mask on the other hand is moisture wicking and very breathable so it remains comfortable and performing well, even after wearing it for a long period of time. Comfortable enough to displace one of the disposable dust masks in my EDC at least.